Anita’s research focuses on environmental, natural resource and climate change governance, particularly the role of law in resource allocation, environmental protection and management. She has an academic background in law and geography and has worked for a range of Australian environmental NGOs. Anita completed her PhD in 2010 at Melbourne Law School under the supervision of Professor Lee Godden and Professor Jacqueline Peel. Her thesis explored the developing law, policy and practice of environmental water allocation in Australia, and she maintains an active research and teaching interest in Australian water law and policy. From 2011-2015, Anita worked as a research fellow with the University of Tasmania. 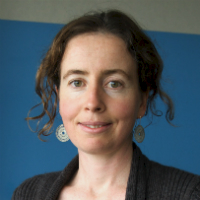 Her research explored the role of law in climate change adaptation planning, focusing on coastal hazards and bushfire; and also legal frameworks for biodiversity conservation and offsets. In 2016, Anita commenced as a Senior Research Fellow on an ARC Discovery Project led by Professor Jacqueline Peel, which focuses on how corporate and securities law mechanisms can be used to encourage and require the private sector to reduce carbon emissions and adopt clean energy practices.